The December 2010 issue of the Journal of Intellectual Property Law and Practice is now available online to e-subscribers. The abstracts of each contribution and the list of contents are accessible to everyone (click here for details). This year the December issue contains not one but two Festive Features: "The Posthumous Papers of the Picric Club" (Christopher Wadlow) and Patrick Atkinson and Laurence Kalman's "Brands and booze: a vintage year?". The respective abstracts of these pieces may be viewed here and here. Cats, dogs, bears, and mice to the slaughter? One of the most enduring images that this writer retains from his youth comes from a television documentary feature on leatherback turtles. The programme chronicled the arduous trek from the safety of the ocean deep to the treacherous beaches on which they laid their eggs. Predators, schooled by millennia of inherited knowledge, gathered to attack the newly hatched leatherbacks which scrabbled across the exposed and open sands in an all-too-often futile, fatal run for cover. Only a small fraction of the baby leatherbacks survived to reach the water's edge. Yet for those members of this endangered species which passed this initial ordeal, the reward was great: longevity to the tune of 80 years, amply protected by their thick shells and hides, nourished by a stock of jellyfish for which there was little or no competition. Returning from the Brand Licensing Europe 2010 Show for the first time since 2005, the image of the turtles was inextinguishably kindled. Here, among the big brand licensing companies with their household names to offer (think Hello Kitty, Muhammad Ali, My Little Pony, and Barbie) were a large number of stall-holders, each offering their own homespun, in many cases quite unknown properties for sale, licence, or some other form of commercialization. Most of the IPs on offer appeared to be cats, dogs, bears, and mice, with a smattering of pigs, rabbits, and ducks. Most were depicted in cloyingly sentimental form, touched up in luminous baby-room pastels, though a few were lovingly naughtified, left scruffy, and unkempt in the hope that, if no parent would take them to heart, they might warm the attention of passing children. Some were sketched, others appeared as photographs or animations. A few had a personality or storyline, but most were devoid of a script or an identifiable ethos: they had nothing to offer but their bodies, as it were. Going back to my notes from 2005, I confirmed that my perception now was much the same as then. There was, however, one big difference: the properties on offer. Most of the 2005 cats, bears, and so on had simply vanished; they were not in the shops, on TV, or incorporated into electronic or hard copy game formats. A few old directory entries, a battered badge, a sadly unfashionable keyring fob—these evidenced a generation of licensing properties which, like the dinosaurs, had become extinct, but in a far shorter time. 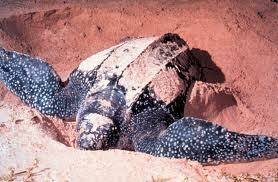 Most, like the leatherback turtle, just never made it. In most cases, a failure to obtain adequate IP protection could not be said to be the problem. Trade mark, design, and copyright are mighty prophylactics against unauthorized copying, but are of little assistance when they attach to creative output that no one chooses to copy or exploit in any other illicit manner. A couple of unwanted teddy-bearers speculated that, had they spent less on their rights registration programme, they would have had more resources, and possibly more energy, to employ in seeking to build relationships with likely licensees. This point sparked off another observation relating to many of the small-time licensees both in 2005 and now: they had in most cases a clear idea of what they were offering, but only a relatively small notion of what it was that licensees of a branded character, collectively or individually, might be looking for. For a manufacturer of, say, stationery products and school wear for children in the 9–11 age range, for example, it cannot be assumed that any one bear is exchangeable for another as a pencil-case emblem. The ethos of the merchandized character is at stake too: is it backed by a series, a song? Is it a good-conduct bear or is it streetwise? Is it a bear to be coddled and protected, like Paddington? Intellectually non-threatening, like Winnie-the-Pooh? Does it confer smartness by association, like Yogi? Or is it environmentally friendly and safety-conscious, like Smokey? Yet, for the small proportion of creators who get it right, the rewards are immense. Leatherbacks last just 80 years but trade marks, properly cared for, are forever and provide comfort long after the copyright and design rights are just faded memories of youth. Mickey Mouse, at 82, is four years junior to Winnie-the-Pooh and nearly a decade younger than Felix the Cat. Healthy octogenarian and nonagenarian licence products can thus continue to feed on a renewable stock of children's dreams, often fuelled by parental nostalgia, netting a steady stream of income. But what is the secret of their eternal youth? That must be the subject of a subsequent editorial. I do not have access to the full text but the abstract seems to indicate picric acid, aka LYDDITE or trinitrophenol. Apart from causing big bangs it was widely used to treat burns.